Specially designed with an in-ear style that gives you ultimate comfort and fit.the appropriate cord length and solid small clip can hold your collar, you won't worry about the flap of the cord. We could easy to use the sports headphones button themselves control of all functions of the music (volume / song selection) and calls from your phone.Voice prompt will reminding that you can clearly know the status about the headphone. 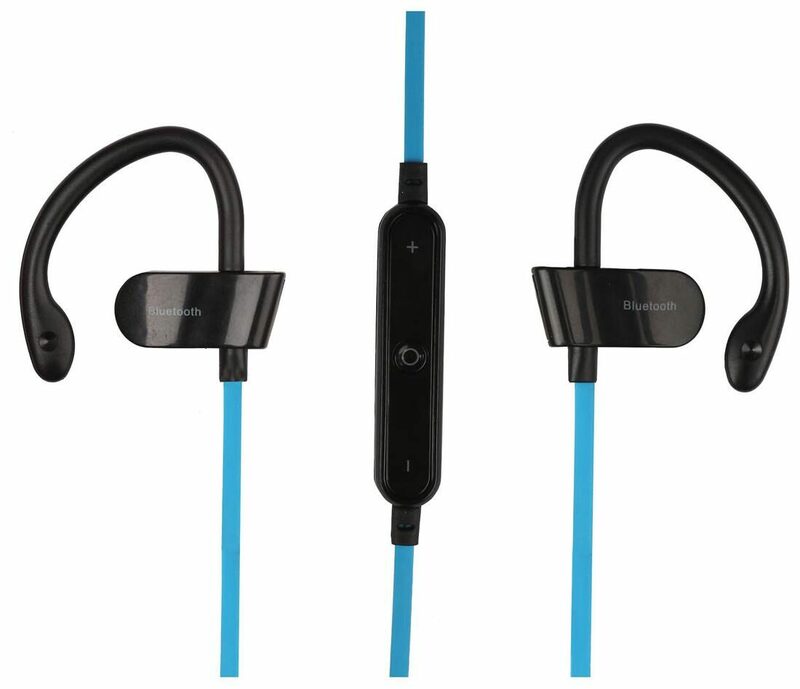 What's more, it will report the phone number when a call is coming.Built-in rechargeable battery, up to 5-8 hours playing/talking time and only 1 hours charging time, enjoy longer music time during running with less charging time.Sport headphones allows to automatically connect after paired successfully for the first time and 10m working distance let you have the free music journey.The wireless bluetooth headphones could easily connect with any Bluetooth-enabled Devices (Smartphones, Tablets, Laptops). Such as iphone and android etc. BLUETOOTH HEADSET WITH MICROPHONE - Bluetooth 4.1 technology Ensures perfect stereo sound quality with High Bass. Comes with balanced left and right stereo channels.Super Signal supports operation with in 5ft. Built-in HD Microphone with CVC6.0 noise cancellation.INNOVATIVE ERGONOMIC DESIGN: With soft smooth silicone gel surface, this Bluetooth headphone is designed to naturally fit the contours of your ear. Different sizes of earbud tips are provided to guarantee constantly comfortable feeling.UNBELIEVABLE EARPHONES SOUND QUALITY: Top-notch speakers and the ultimate in Bluetooth connectivity (4.1 and apt-X) work together to create a memorable listening experience. Noise cancellation makes you enjoy a clear sound in noisy occasion. SWEATPROOF & LIGHTWEIGHT - Durable design and comfortable earbuds ensures that earphones always stays in place while running, Jogging and Gyming. Invinsible nano-coating technology protects earbuds against sweat during workout.